In the third Nora Tierney Mystery, the American writer awaits the traveling theater troupe who will stage Noel Coward's farce, "Blithe Spirit" at her temporary home, Ramsey Lodge. Murder occurs soon after. With her son now six months old, Nora must juggle parenting with helping her friend Simon Ramsey run the lodge. She's also hoping to further her relationshp with DI Declan Barnes,the only lodge guest not in the acting cast. When a series of pranks and murders escalate to murder, Nora realizes her child is in jeopardy and determines to help Declan unmask a killer. 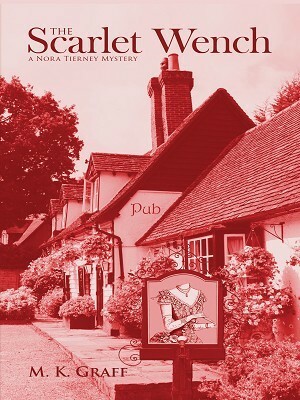 The fourth in the award-winning Nora Tierney English Mysteries.